Say the words “Persian rug” to almost anyone and they’ll tell you it is a beautiful object, a treasure, a handmade piece of art, and so much more. Yet, ask someone how you can identify an authentic Persian rug from a fake, and most won’t have a lot to say. This is because it is not an easy thing to do, and it is why we are going to offer a few simple to use techniques to begin to suss out whether or not a rug is authentic or as it claims. Here’s one of the biggest giveaways as to whether a rug is an authentic Persian rug – it is actually from “Persia”. On a modern map, the area once known as Persia is now Iran and its environs. If a rug originates from Europe or anywhere else in the world it is not authentically Persian. What does the bottom of the rug look and feel like? 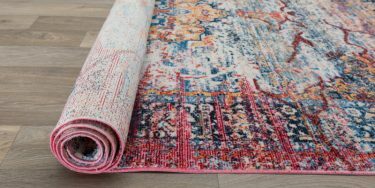 Authentic Persian rugs are also called “hand knotted,” and so the back of the rug will show the millions of little knots that were made in the creation of the pattern. The back of the rug is soft to the touch and actually quite flexible. 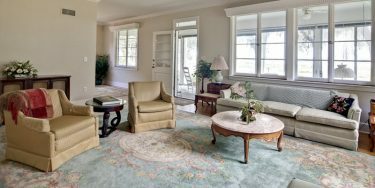 Should the rug have a rigid or even plastic-like feel or texture, it is definitely not Persian and is probably not even very old. NOTE: If the fringe is sewn on and not part of the actual warp and weft of the rug, it is not the genuine article. Also, compare the look of the design on the flip side to that on the front. Is it pretty sharp and have a clear resemblance to the pattern on the front? If so, it is not machine made, and that makes it likely that it is a Persian. Machine woven designs become a bit unclear or vague on the flip side of the rug. Authentic Persian rugs use only colorfast dyes. This means the colors remain true and do not bleed into one another. One expert said that you can test the colorfastness of any dye by simple placing a damp rag on a discreet area of the rug and leaving it overnight. If you lift it up in the morning and see no transfer of color, it is probably vegetable and/or colorfast dye, meaning it is also probably Persian. The fringe is an important point, and though we touched on it briefly, we need to consider it again. 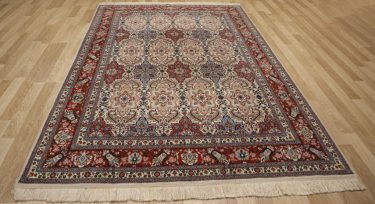 Persian rugs have those long fringe threads that were actually part of the “warp” of the rug as it was originally strung on the loom and woven by the rug maker. The edges of the rug are also “hand overcast,” and you will see no stitching but instead note that it is a weaving technique. 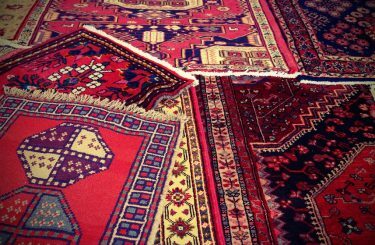 Naturally, you may be very eager to buy a rug that is marketed as Persian, and you can use some of these tips. 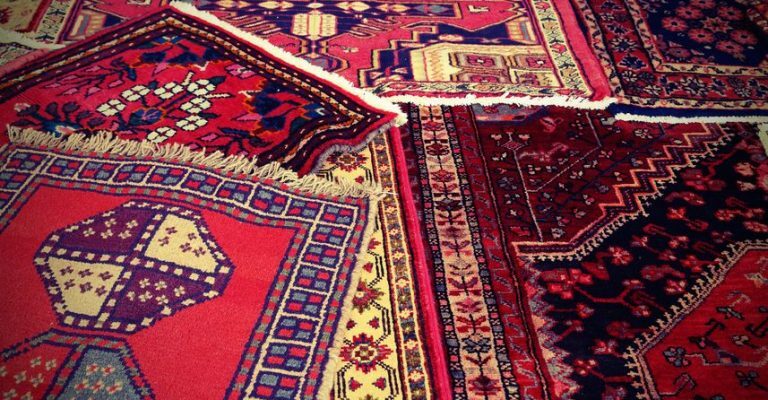 However, it is always best to consult an expert in Persian and Oriental rugs before making the investment. These rugs are works of art and you want the real thing that will last for years and bring beauty, value and function for years to come.